Home is where your heart is. The kitchen converts a house into a home. It is the center of all the hustle bustle of morning and evening chitchat. The lady of the house spends a big chunk of her time in the kitchen. It is thus, important that the kitchen has a warm and inviting look at the same time of reflecting your personal touch. Times have changed and so has the role of the kitchen in our lives. The advancement in technology has upgraded the kitchen appliances. We see an addition of modern touch to the basic design of a kitchen. 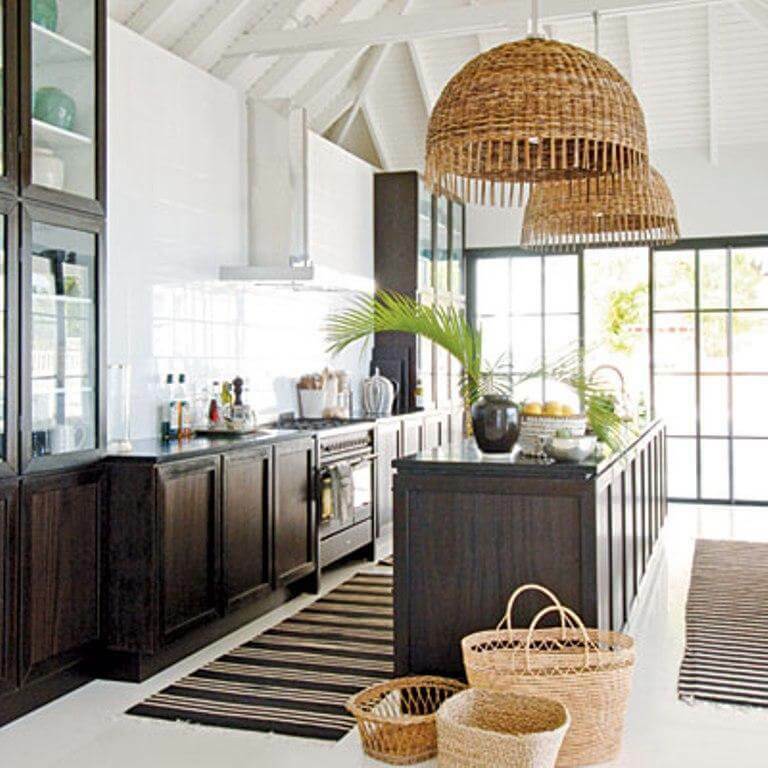 Clean, open with plenty of natural light is the basic essence of a kitchen. Catering to the aesthetics, the today’s kitchen is functional and practical. It makes the daunting task of cooking and cleaning a smart one. Hare some beautiful kitchen designs to bring out your special touch to the heart of your home. The Classic Contemporary design is user-friendly and functional for the whole family. It features simple geometric lines with least decorations. 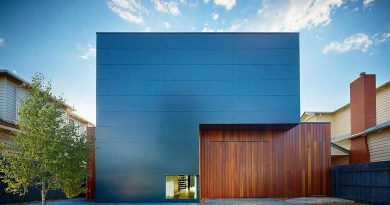 Materials used for finish are steel, plastic, acrylic, glass, or concrete. Stone, wood, granite or slate to give a more natural look complements these. The fixtures are steel, chrome or copper. The cabinets are large framed. The countertops are glass or steel, which are easy to clean. The best thing about chic design is that you can integrate it with other styles. Use of light color palette as baby pinks, olives or blues adds a feminine touch. Cabinets are the main feature of this design. Install vintage ones or the RTAs. Prefer mismatched cabinets. 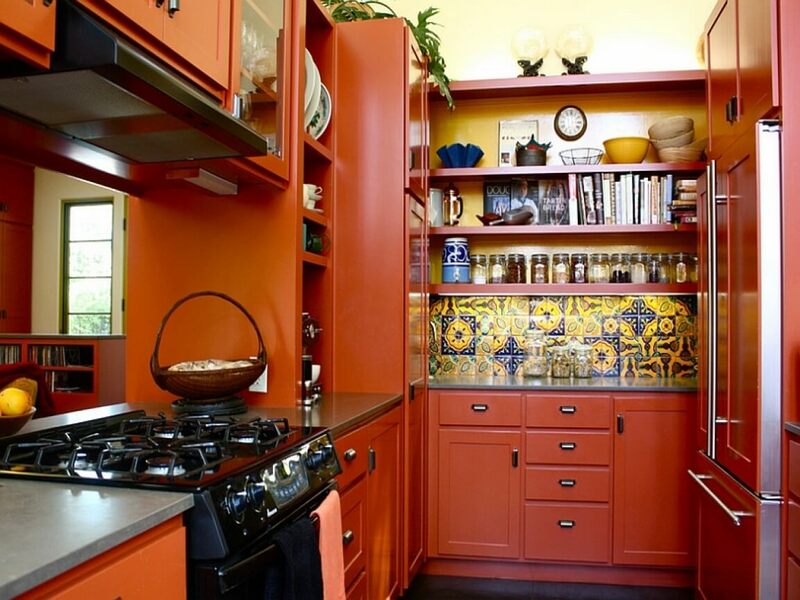 Another alternative is to whitewash the top and bottom cabinets in complementary colors. The perfect combinations are red and green or blue and orange. 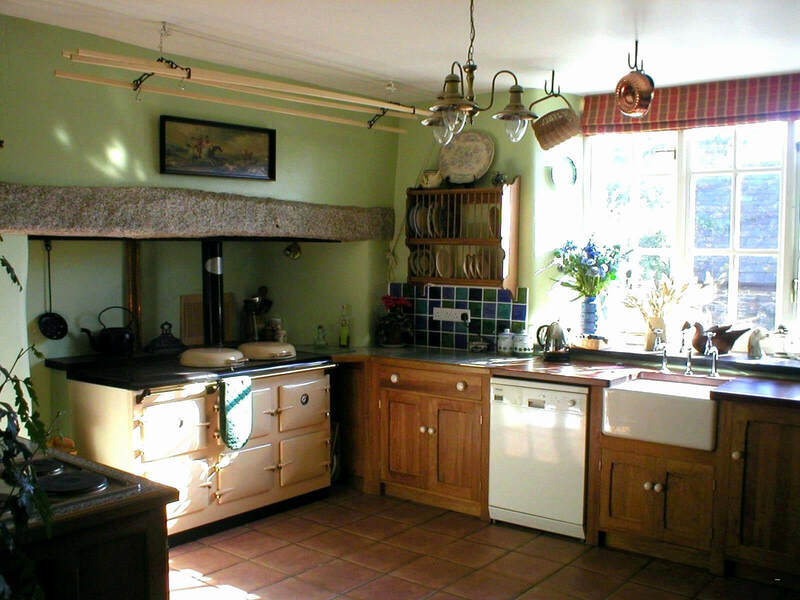 Rustic kitchen design incorporates a warm rural look. They may take the form of a country, cabin or lodge look and feel. The color scheme and decorations set off the look of a farmhouse. Natural materials as wooden beams and stone floors complete the cozy look. A specific feature of this design is a large sitting area to accommodate a large family. 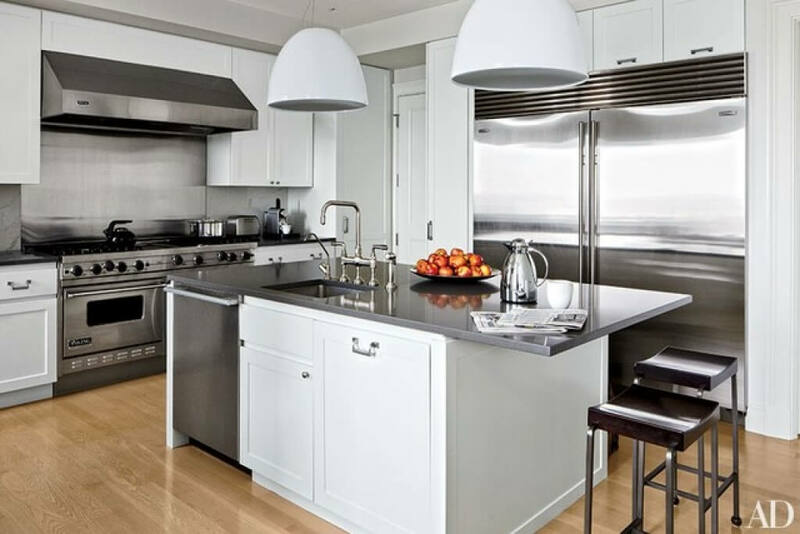 Modern kitchen design is sleeker, with simple hardware and frameless cabinets. A slab-door style is another characteristic of this design. Simple and clean countertops without decorations define this style. 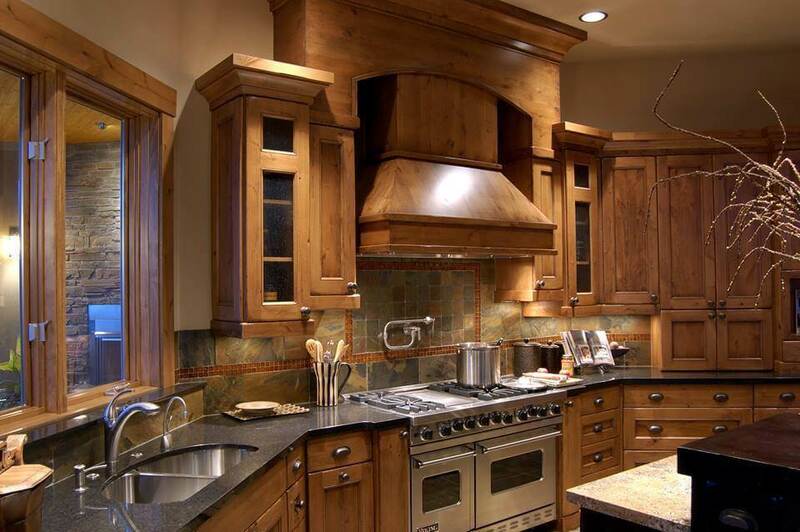 Natural grains in wood or tiles may be the only touch of ornamentation in these kitchens. 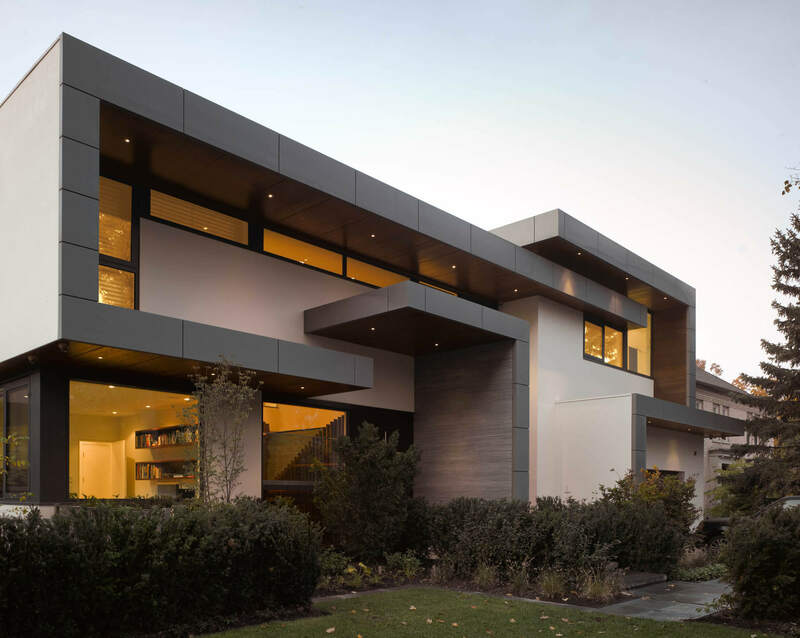 Modern designs have typical horizontal lines. These are visible in the lining of the shelves, cabinets, and drawers. If you are not sure, what you want or you want to combine your different whims, then eclectic is the one for you. The cabinets are simple. Countertops are marble. You could hang a kitchen glass chandelier. Contrast it with a vintage dining table and throw a rug underneath. There could be plenty of collectibles in every corner with a flowerpot. Nothing can go wrong. If it does, you can always try something else. 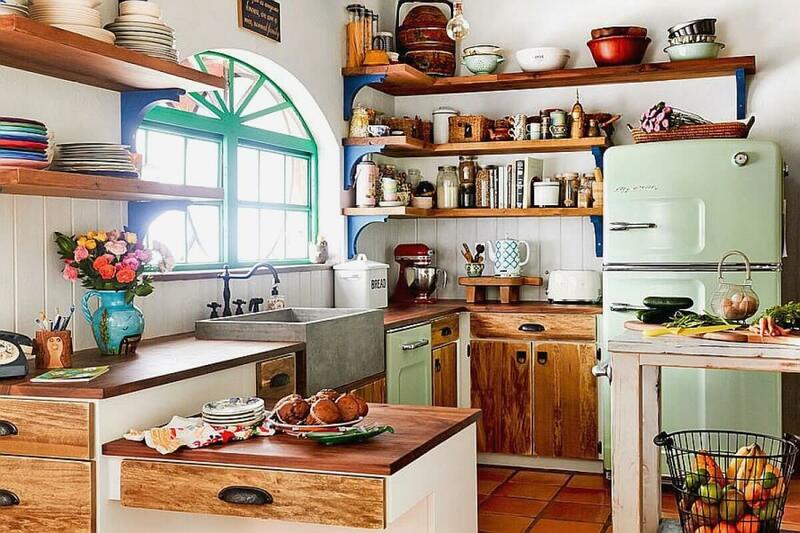 Mediterranean kitchens are bold with rich and vibrant colors. The colors are a blend of red, yellow, blue and terracotta. The kitchen features strong curves in the design. The fixtures also depict graceful forms. The signature feature of this design is hand painted mosaic tiles. Pot stands made out of wrought iron make a strong impression. Textured walls and stone flooring complete the finish. 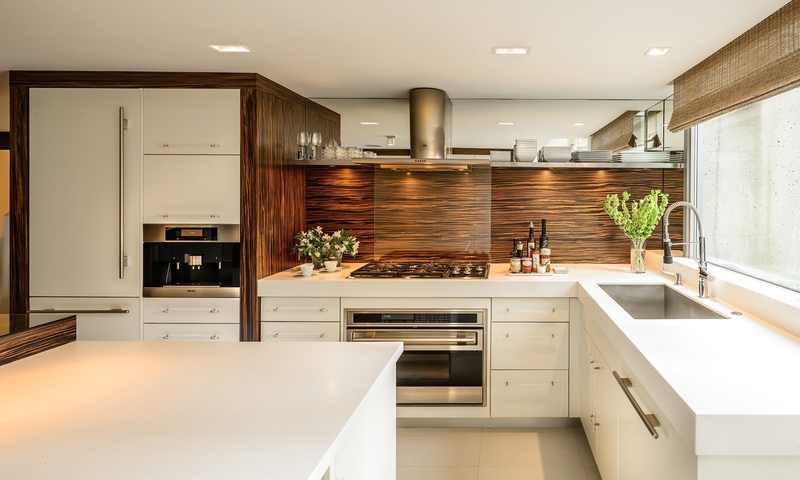 Cabinets made out of rich wood as walnut uplift the look. 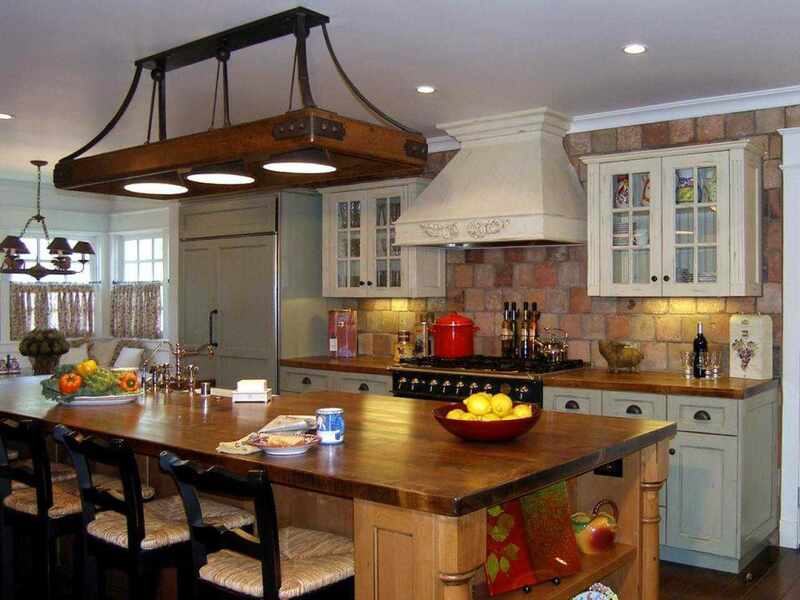 Cabinets without doors and wall-mounted shelves are the trademarks of a farmhouse kitchen. If you can get your hands on a vintage stove, it would be perfect. Tile the floors or paint it, the option is yours. Decorate your kitchen with pots and pitchers. No need for a working fireplace. Brick a part of your wall put a mantelpiece and you are good to go. A big central table functions as both a dining table and workplace. Your farmhouse kitchen is not complete without an apron front sink. Ledges over the stove are another unique feature of the traditional kitchen.